LA Times columnist Sandy Banks reached the conclusion that gardening is not for dilettantes. 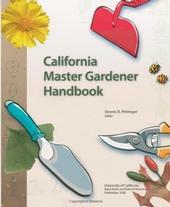 'California Master Gardener Handbook' is on a short list of gift ideas for gardeners. 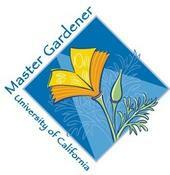 Who better to give advice on presents for gardeners but Master Gardeners certified by the University of California Cooperative Extension? asks Katherine Spiers this week in the KCET "In-Ground Gardens" blog. The UC Master Gardener Program trains volunteers to extend research-based information to the public about home horticulture and pest management. UC Master Gardener part of a new farm-to-table trend in L.A.
UC Master Gardener Geri Miller is making a living by tending a "bespoke garden" in Los Angeles, said an article on Forbes.com. The new trend is part garden, part urban farm and part farmers market. Miller and her husband have built 8-by-4-foot raised beds in a previously vacant lot and are using a bio-intensive planting process to enable high production in little space. Beds for home chefs, which go for $327 per month, are sold out. Beds for restaurants, priced at about $427 per month, are still available. 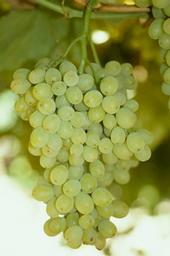 Diamond muscat grapes have natural resistance to powdery mildew. On Saturday, Aug. 3, thousands will gather at the UC Master Gardeners' Fair Oaks Horticulture Center for what has become the largest free garden event in the Sacramento area, said an article in the Sacramento Bee. The public is invited to hear presentations, watch demonstrations, visit educational booths, tour the gardens and sample fresh tree fruit, grapes and vegetables. The Master Gardeners will staff a plant clinic, where visitors can get answers to their most pressing garden questions. Numerous garden-related items will be up for bit at a silent auction.